Quite a few of you have been asking for your very own mini Lost Voice Guy, as seen on my Instagram. 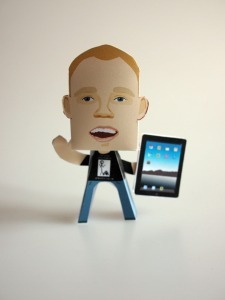 Thanks to the fantastic people over at www.weepaperpeople.co.uk, you can now print out and make your very own paper version of yours truly. Just download the PDF file, print it out and cut and fold the pieces. If you’re good at it, it should look a bit like this….